“Trump’s America is not America: not today’s or tomorrow’s, but yesterday’s. And that is a vision of America that most of the people in this country cannot and will not abide. That is a vision of America that has galvanized ordinary American citizens in opposition in a way that is almost without precedent. We are inching toward anarchy as both the people and the president refuse to back down. It's the last open enrollment day for Obamacare, and the law has never been more popular. It's the last open enrollment day for Obamacare, and the six-year-old health care reform law has never been more popular. And it's never been more doomed, although Republicans are still arguing over how and when to replace it — and whether to just tweak the Affordable Care Act and rename it, or completely repeal it and start over again from scratch. This time last year, there was a huge last-ditch effort from the Obama administration to get people signed up in time to be covered for 2016 without paying an extra tax. This year, the Trump administration is virtually silent, with only the occasional post on social media and a broad cutback in pre-paid advertising." "WASHINGTON — Former President Barack Obama spoke out on Monday against President Trump’s efforts to seal the United States borders against people from seven predominantly Muslim countries, siding with protesters around the country outraged at Mr. Trump’s crackdown on immigration. "‘If the ban were announced with a one week notice, the ‘bad’ would rush into our country during that week. A lot of bad ‘dudes’ out there!,’ he tweeted. 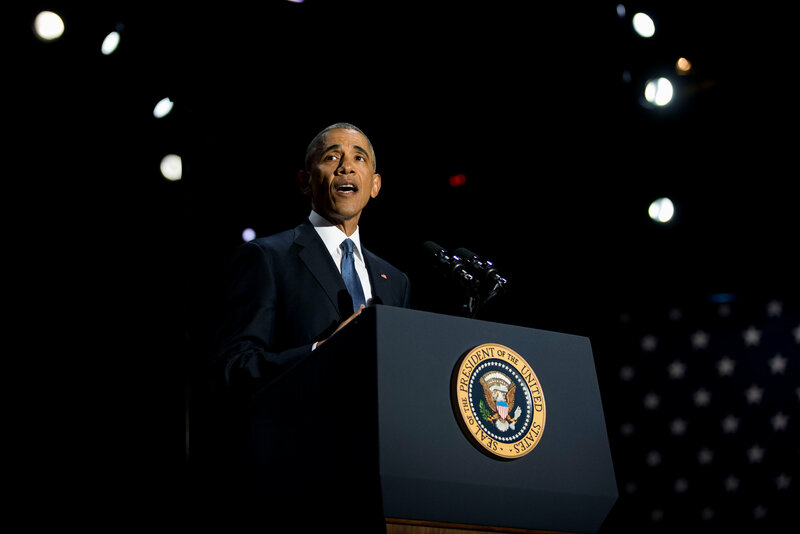 Immigration experts caution, however, that the president’s argument lacks credibility. To start, the idea that ‘bad’ ‘dudes’ could have rushed into the United States in the span of a week is at odds with the length of time typically involved in processing refugee and immigration applications for entry into the country. ‘The notion that dangerous individuals could rush into the country in the timeframe of a week flies in the face of reality,’ said William Stock, an immigration lawyer based in Philadelphia and the president of the American Immigration Lawyers Association. ‘In many consulates, you can’t even get a visa appointment if you only have one week’s notice. 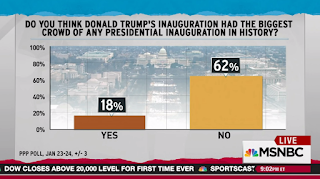 People would not be able to get through interviews that quickly if there were a big rush of applicants trying to get into the country, let alone be approved for admission into the country.’"
Trump fires acting AG over travel ban dissent | MSNBC: ""
"WASHINGTON — President Trump fired his acting attorney general on Monday after she defiantly refused to defend his immigration executive order, accusing the Democratic holdover of trying to obstruct his agenda for political reasons. Taking action in an escalating crisis for his 10-day-old administration, Mr. Trump declared that Sally Q. Yates had ‘betrayed’ the administration, the White House said in a statement. The president appointed Dana J. Boente, United States attorney for the Eastern District of Virginia, to serve as acting attorney general until Senator Jeff Sessions of Alabama is confirmed." "Amazon founder and CEO Jeff Bezos weighed in this afternoon on President Trump’s executive order banning entry to the US for citizens of seven majority-Muslim nations. Amazon’s VP of Human Relations wrote a statement on the ban over the weekend, but this new message comes directly from Bezos himself. Washington state, where Amazon is headquartered, is the first to directly take on Trump’s executive order. 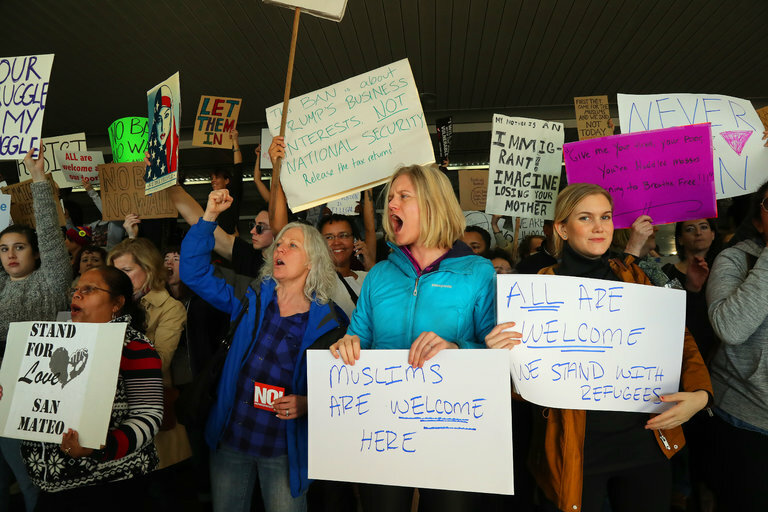 The state’s attorney general, Bob Ferguson, announced on Monday that he would challenge the ban in federal court. Washington state Governor Jay Inslee also added his voice. ‘It is an insult and a danger to all of the people of the state of Washington, of all faiths,’ Inslee told reporters on Monday. Bezos and Amazon are part of a chorus of voices from the tech industry speaking out against the executive order. Below is the full email from Bezos to Amazon employees." Not one network person has been let go. Not one silly political analyst and pundit who talked smack all day long about Donald Trump has been let go. They are on panels every Sunday. They’re on cable news every day. " "Most of his multi-part message rambled, and included many of the signature elements that make up nearly all of Trump’s online missives: needlessly capitalized words, an overreliance on exclamation points, misused ellipses, etc. But there was one tweet that stood out as significant for substantive reason"
"Saturday, Pres. Donald Trump announced that the Chairman of the Joint Chiefs and the national director of intelligence will no longer be included in all meetings of the National Security Council (NSC)’s principals committee. However, the president’s order said, former Breitbart.com CEO Stephen K. Bannon will be attending every meeting alongside the Secretary of State, the Secretary of Defense and some of the highest ranking officers in the nation’s security and intelligence services. “Trump loves and trusts the military so much he just kicked them out of the National Security Council and put a Nazi in their place,” she said. The questioning wasn’t only from the opposite side of the aisle, however. Sen. John McCain (R-AZ) said he’s concerned about the reorganization. "SAN FRANCISCO — On Friday morning, Silicon Valley was largely ambivalent about President Trump. The software programmers, marketing experts and chief executives might not have voted for him, but they were hopeful about finding common ground with the new administration. A Google founder, Sergey Brin, who immigrated from the Soviet Union when he was 6, seemed to take that suggestion literally, attending an impromptu protest on Saturday evening at San Francisco International Airport. When some of the demonstrators realized that the 10th-richest man in America was with them, they asked for selfies. He good-naturedly obliged. “I’m here because I'm a refugee,” Mr. Brin said, according to one protester. Zuckerberg, Facebook’s chief executive, said that his great-grandparents had come from Germany, Austria and Poland, and that the parents of his wife, Priscilla Chan, were refugees from China and Vietnam. “Like many of you, I'm concerned about the impact of the recent executive orders signed by President Trump,” Mr. Zuckerberg wrote on Facebook on Friday." "Protestors at JFK airport got an unexpected treat tonight: Pies and pies of pizza that seemed to apparate out of thin air. "Somebody handed it to me," one woman handing out slices told The Daily Beast. "The delivery guy wanted a photo," said another. "It just appeared," said a third.Behind barricades and police in riot gear, protesters took it upon themselves to feed their comrades. At 10pm, there were more pizza boxes than signs littering the floor.But no one could pinpoint their origin. When one of these reporters called South Shore Pizza—the parlor from where many of the boxes seemed to originate—a man who answered the phone said bluntly: "We're closed. "He added they hadn't just spontaneously delivered the pizzas, either. Someone had placed an order to be delivered to JFK." Pizza Angels Feed Protesters At JFK Airport - The Daily Beast: ""
Send Trump To The Dump! "What once seemed like another harebrained claim by a president with little regard for the truth must now be recognized as a real threat to American democracy. 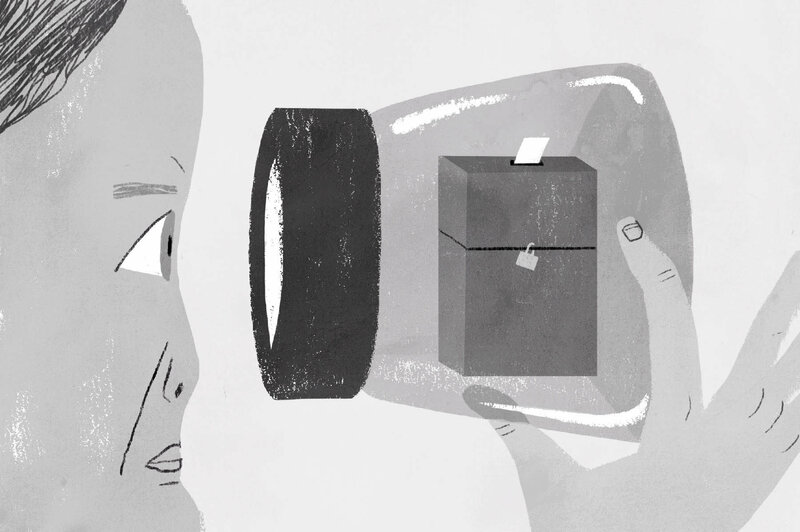 Mr. Trump is telegraphing his administration’s intent to provide cover for longstanding efforts by Republicans to suppress minority voters by purging voting rolls, imposing onerous identification requirements and curtailing early voting. The apparent source of Mr. Trump’s original claim of mass voter fraud was Gregg Phillips, a Texas man with a penchant for making wild allegations about voting fraud. Days before Mr. Trump’s tweet, Mr. Phillips claimed on Twitter that he had “verified more than three million votes cast by non-citizens.” State election officials across the political spectrum promptly rejected that assertion, noting that ballot box fraud in the United States is exceedingly rare." "(CNN)As the US attorney in Mobile, Alabama, Jeff Sessions was talking over a case one day in the 1980s with two fellow prosecutors. It had to do with a young black man who had been kidnapped and brutally murdered by two members of the Ku Klux Klan. The Klansmen, Henry Hayes and Tiger Knowles, slit the victim's throat and hung his body from a tree. They carried out the attack in retribution for a jury acquitting a black man in the slaying of a white police officer. As Sessions learned that some members of the Klan had smoked marijuana on the evening of the slaying, he said aloud that he thought the KKK was: 'OK until I found out they smoked pot.' Sessions insists he was joking. But the damage was done…..
Another federal prosecutor, J. Gerald Hebert, testified that Sessions had called the ACLU and NAACP "un-American" and "communist-inspired." According to Hebert, Sessions said the two groups "forced civil rights down the throats of people. "Hebert, a veteran civil rights prosecutor, told the committee he had "very mixed feelings" about testifying about the conversations that he said had taken place over a matter of years. He said he and Sessions would engage in "spirited debate" about civil rights and that he sometimes wondered if Sessions was baiting him with controversial statements. Sessions, he said, "has a tendency sometimes to just say something, and I believe these comments were along that vein." It got worse. Another damaging witness — a black former assistant U.S. Attorney in Alabama named Thomas Figures — testified that, during a 1981 murder investigation involving the Ku Klux Klan, Sessions was heard by several colleagues commenting that he “used to think they [the Klan] were OK” until he found out some of them were “pot smokers.” Sessions claimed the comment was clearly said in jest. Figures didn’t see it that way. Sessions, he said, had called him “boy” and, after overhearing him chastise a secretary, warned him to “be careful what you say to white folks.” Figures echoed Hebert’s claims, saying he too had heard Sessions call various civil rights organizations, including the National Council of Churches and the Southern Christian Leadership Conference, “un-American.” Sessions denied the accusations but again admitted to frequently joking in an off-color sort of way. In his defense, he said he was not a racist, pointing out that his children went to integrated schools and that he had shared a hotel room with a black attorney several times." Criminal Justice And Human Rights Law Blog: Republicans Tried Very Hard To Convince Americans Jeff Sessions Is Not Racist | The Huffington Post: ""
"After bracing for the worst, it’s finally here. Every day since he was inaugurated, Donald Trump has taken steps to implement more of his hate-filled, fear-mongering agenda. Just this week, he began moving forward with a ban on refugees, a wall along the Mexico-US border, a suspension of visas for anyone from particular Middle Eastern and African countries, and cuts to federal funding for sanctuary cities. Trump’s divisive and harmful executive actions are intended to instill fear among us. Instead, they’ve inspired defiance. Thousands of people gathered at emergency rallies Wednesday night across the country, including in front of the White House in Washington, DC, and in Washington Square Park in New York City. Smaller rallies also popped up in neighborhoods such as Kensington in Brooklyn. With so much happening, how can we continue to support immigrants, Muslims, and refugees? Here are five steps you can take to support communities targeted by the Trump administration"
How to Fight Trump’s Racist Immigration Policies | The Nation: ""
"When I first started talking to ISIS propagandists and supporters, I was much impressed by one of their favorite Koranic verses: “We have already created man and know what his soul whispers to him, and We are closer to him than [his] jugular vein.” The verse is a reminder of God’s omnipresence, and his Santa Claus-like awareness of our deepest selves, our sins, and our good deeds. In time, I came to associate that unsettling proximity (He is closer than you think) not only with God, but also with ISIS. They too were less distant than they seemed. What seemed at first like a movement of barbarians with alien origins and impulses looked increasingly like a human phenomenon, with human flaws and virtues (mostly flaws). The more I investigated the group’s supporters, the more I found people who at one point had shared my culture and community, even if they tried to throw it all away in the service of something wicked. In the end I discovered that one of the most important figures in the Islamic State, a mysterious ideologue named Yahya Abu Hassan, was not Syrian or Iraqi at all, but a 33-year-old American, a dope-smoking theological prodigy from my own hometown. The executive order President Donald Trump is expected to sign on immigration and refugees promises, according to a draft that leaked Wednesday, to suspend for 30 days the issuance of visas to citizens of a short list of scary-sounding “countries of particular concern,” likely including Yemen, Iran, Iraq, Syria, Libya, Somalia, and Sudan. Conspicuously absent from this list are the countries whose nationals have actually perpetrated the most ghastly attacks on Western targets, and on some non-Western ones. Nearly all the attackers in Paris in November 2015 and Brussels in March 2016 carried European passports. The ringleader of the attack on diners at the Holey Artisan Bakery in Bangladesh in July of 2016 was a Canadian citizen, and the attackers all Bangladeshi. The San Bernardino shooters were an American man and his Pakistani wife, and the Orlando shooter Omar Mateen a native-born American of Afghan descent. The ISIS sympathizers to whom I spoke in researching my book, The Way of the Strangers, were European, British, Japanese, Egyptian, and American. These foreign members of the group differ from the Iraqis and Syrians in the intensity and form of their zeal. They often viewed Iraqis and Syrians as good people—but in need of theological correction and radicalization." Woman at center of Emmett Till case tells author she fabricated testimony | US news | The Guardian: ""
The Trump team needs to read this Supreme Court case which outlines the law, as it is today which protects the press from government interference or censorship. The New York Times, though, ultimately chose more muscular terminology, opting to use the word ‘lie’ in the headline. After initially using the word ‘falsely,’ it switched to ‘lie’ online and then settled on ‘Meeting With Top Lawmakers, Trump Repeats an Election Lie’ for Tuesday’s print edition." "The president of Mexico said on Thursday that he was canceling his scheduled meeting with President Donald J. Trump in Washington next week, rejecting the visit after the new American leader ordered a border wall between the two nations. The move by Mexico’s president, Enrique Peña Nieto, brings to a head the simmering tensions that have been building for months between the two leaders. After calling for dialogue in the face of Mr. Trump’s vows to build a wall, Mr. Peña Nieto ultimately bowed to public pressure in Mexico to respond more forcefully to his northern neighbor. Follow Mexico’s President Cancels Meeting With Trump Over Wall - The New York Times: ""
Trump sued for housing discrimination in the 1970s. Donald Trump was President of the company. Trump's applications had racial code marking them "C". Trump tried to sue the government for defamation but the suit was thrown out of court. The evidence Against them was overwhelming. Not to disparage use car salesman but we have the stereotypical negative stereotype of used car salesman as President. He believes if he repeats a lie enough a certain percentage of people will believe him. "Private prison companies saw an immediate and sustained stock bump when President Donald Trump was elected. And investors think things will keep getting better. An article on Seeking Alpha, the investment research site, speculated that GEO Group’s stock value may increase by 25 percent this year. ‘The basic rationale is that a Trump administration will emphasize private industry and law-and-order, both which will serve as significant macro tailwinds for the private prison industry over the next 4 years,’ it said. That emphasis began in earnest Wednesday with a series of executive orders signed by Trump to crackdown on illegal immigration. Besides announcing that he will triple the number of Immigration and Customs Enforcement officers and order the Department of Homeland Security to start building the wall (even though Mexico has yet to pony up the cash), Trump and his team also committed to locking up more immigrants who illegally cross the border. These measures are expensive; an analysis from the progressive Center for American Progress——a think tank linked to the Clinton campaign—estimated the whole project could cost more than $117 billion over the next 10 years. And much of that money will go straight to private prison companies. ‘The reality is, DHS is not going to have the ability to detain all these folks,’ said David Inserra, a homeland security policy analyst at the conservative Heritage Foundation. ‘You have to rely on the private contractors.’ The majority of immigrants in detention (62 percent in 2015, according to Quartz) are in facilities managed by private prison companies—companies that were subjects of a blistering Justice Department report last summer. During Obama’s presidency, the Justice Department announced it would phase out its reliance on private prisons. And Hillary Clinton promised on the campaign trail to do the same. Trump, in contrast, has defended their use (and one of those companies, in turn, contributed generously to a pro-Trump super PAC). His attorney general pick, Sen. Jeff Sessions, also has a favorable approach to the controversial industry. And private contractors are open for (additional) business. Pablo Paez, a spokesman for GEO Group—the second largest private prison company in the U.S.—told The Daily Beast that his company is optimistic about the future. ‘We can’t speculate about future policy initiatives, but we look forward to working with both the new Administration and the new Congress in continuing our longstanding partnership with the federal government providing high quality and cost effective services, while treating those entrusted to our care with the respect and dignity they deserve,’ he said. GEO Group recently hired two former Sessions staffers onto its D.C. lobbying team, as Politico reported. A spokesman for CoreCivic, the nation’s largest private prison company, shared a similar sentiment. ‘We are in continual contact with our federal agency partners and they are aware of our capacity and capabilities,’ said spokesman Jonathan Burns. ‘As in the past, we remain committed to providing flexible, innovative solutions to the challenges they face.’ Critics of immigrant detention, meanwhile, are gearing up for legal fights. The ACLU released a statement ripping into the president’s plan." "More Mexican immigrants have returned to Mexico from the U.S. than have migrated here since the end of the Great Recession, according to a new Pew Research Center analysis of newly available government data from both countries. The same data sources also show the overall flow of Mexican immigrants between the two countries is at its smallest since the 1990s, mostly due to a drop in the number of Mexican immigrants coming to the U.S. Measuring migration flows between Mexico and the U.S. is challenging because there are no official counts of how many Mexican immigrants enter and leave the U.S. each year. This report uses the best available government data from both countries to estimate the size of these flows. The Mexican data sources — a national household survey, and two national censuses — asked comparable questions about household members’ migration to and from Mexico over the five years previous to each survey or census date. In addition, estimates of Mexican migration to the U.S. come from U.S. Census Bureau data, adjusted for undercount, on the number of Mexican immigrants who live in the U.S. (See text box below for more details.)" New York Times columnist David Brooks, who is to genuine intellectual inquiry as Flintstones vitamins are to the polio vaccine, filed a column Tuesday about the weekend's spectacularly well-attended anti-Trump women's marches. And there must have been some sort of mistake at Times HQ, because they put his column in the newspaper even though it belongs at the bottom of a well. Let's go through it. This is Brooks' thesis. When I read those paragraphs, I spit my latte all over my Volvo. In what sense are "affordable health care" and "action on climate change" not related to "technology and globalization"? Like, directly related in a manner that would be condescending to even explain out loud? Since when has "affordable health care," which in the form of Medicare is perhaps the quintessential meat-and-potatoes issue in American politics, been a pet cause of "upper-middle-class voters in university towns and coastal cities?" And could he truly be suggesting that the marches would have been more broadly popular and meaningful if organizers had announced that their primary concerns would be the redefinition of nation-states and the deterioration of the post–World War II international security regime?... " (Langer) was standing in line at a polling place near his home in Florida on Election Day, the president explained, when an official informed Mr. Langer he would not be able to vote. Well, the Times contacted his daughter to discover that he’s both not a citizen and not a friend of Trump’s, though the president described him as such. HOW DID TRUMP HEAR ABOUT IT? The Times reports that Langer ran into Trump at a Florida golf course. WHO IS BERNHARD LANGER ANYWAY? He is a really great golfer, probably the best ever from Germany. Langer is second in European Tour history with 42 victories and second in Champions Tour history with another 30. He’s 59 and still great for his age — he won the Champions Tour last year. He’s also, again, German." "NEW YORK (CBSNewYork) — Mayor Bill de Blasio on Wednesday said President Donald Trump’s executive order stripping funding for sanctuary cities would be severely damaging to New York City. Trump on Wednesday signed the order targeting sanctuary cities, which do not arrest or detain immigrants living in the U.S. illegally. The lost funds would reduce the NYPD’s resources to fight crime and terrorism and make the city less safe, not more, de Blasio said. “The executive order on its face contradicts its stated purpose,” de Blasio said." "A quote often attributed to former Ohio State University football coach Woody Hayes suggests “There are three things that can happen when you throw a pass, and two of them are bad.” Apocryphal or not, that’s how I’m starting to feel about the GOP’s plans to repeal and replace Obamacare. Or maybe not. Despite President Trump’s issuing of an executive order on day one, congressional plans to repeal the law are reportedly being pushed to mid-to-late February. 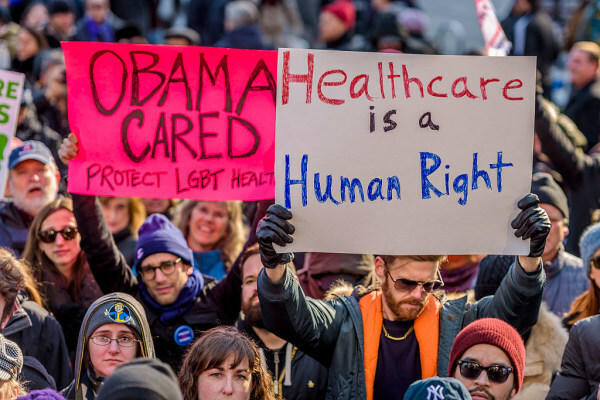 Having spent the last six (or so) years promising to repeal and replace the Affordable Care Act (aka Obamacare), Republicans now find themselves with the thankless task of fixing America’s health care system." "President Trump plans to ask for a “major investigation” into allegations of widespread voter fraud as he continues to claim, without providing evidence, that he lost the popular vote in November's election because millions of illegal votes were cast, according to tweets posted Wednesday. [Here are nine investigations of voter fraud that found virtually nothing]"
“illegals” voted in the election for his opponent. By any sane measure, the claim is completely bonkers, and yet, the White House refuses to walk it back. presidential election, costing Trump the popular vote. That, too, is a claim that Trump World has repeatedly embraced, despite being completely wrong. Trump threatens to 'send in the Feds' to Chicago. "President Donald Trump tweeted Tuesday that he would dispatch federal authorities to Chicago if they didn't address violence in the city, which he described as "horrible 'carnage.'" "If Chicago doesn't fix the horrible "carnage" going on, 228 shootings in 2017 with 42 killings (up 24% from 2016), I will send in the Feds!" the president tweeted Tuesday. It was not clear if he meant federal law-enforcement authorities or federal troops. Trump's comments seemingly cite a Chicago Tribune report from Monday that said 228 people had been shot in the city so far in 2017, a 5.5 percent increase from the same time period last year. The 42 homicides, as he noted, increased by 24 percent from the 34 reported to this point in 2016. Trump has repeatedly spoken out against Chicago Mayor Rahm Emanuel's handling of violence within the city, often alluding to potential federal intervention. But Trump's comments Tuesday serve as his strongest rebuke yet since being sworn in to the presidency last Friday." Does Trump know that using the army is illegal? I doubt it. "Whoever, except in cases and under circumstances expressly authorized by the Constitution or Act of Congress, willfully uses any part of the Army or the Air Force as a posse comitatus or otherwise to execute the laws shall be fined under this title or imprisoned not more than two years, or both." Trump threatens to 'send in the Feds' to Chicago: ""
"WASHINGTON — During a private meeting with congressional leaders on Monday, President Trump asserted that between three million and five million unauthorized immigrants had voted for his Democratic opponent and robbed him of a victory in the national popular vote. There is no evidence to support the claim, which has been discredited repeatedly by numerous fact-checkers. That did not stop Sean Spicer, the White House press secretary, from standing by the president’s words on Tuesday during a briefing with reporters at the White House. ‘As I said, I think the president has believed that for a while based on studies and information he has,’ Mr. Spicer said. That much appears to be true. Mr. Trump repeatedly raised doubts about the integrity of the American voting system in the period before the election in November and has falsely said since his victory that millions of people voted illegally." "U.S. President Donald Trump is expected to sign several executive orders on Wednesday restricting immigration from Syria and six other Middle Eastern or African countries, according to several congressional aides and immigration experts briefed on the matter. The restrictions on refugees are likely to include a multi-month ban on admissions from all countries until the State Department and the Department of Homeland Security can make the vetting process more rigorous." …"As far as security is concerned, Trump’s threats to withdraw from NATO and other alliances isn’t really about wanting to pull America within its borders. He never says that. In fact, he wants a huge military and wants to show it off so everyone in the world will be in awe of American power. He just wants NATO and other alliances to pay protection money to the U.S. at whatever price he sets. Trump has repeatedly made the fatuous claim that he’s going to make the military so massive that “no one will ever want to mess with us,” but has never actually suggested that he would have any reluctance to use it. Indeed, he’s made it clear that he intends to do just that, telling his rowdy crowds during the campaign…"
Donald Trump, imperialist: Forget “isolationism” — Trump longs to build up our military and then use it - Salon.com: ""
"Langley is ready to woo the new president like a foreign leader. The key? Flattering his ego. ‘He is extremely insecure like an adolescent boy,’ one analyst told The Daily Beast." "With no evidence to support the claim, President Donald Trump told congressional leaders that he lost the popular vote due to up to five million fraudulent votes, the Washington Post reports. Trump reportedly made the claim during a Monday night reception with congressional leaders, three sources told the Post. Despite the Trump campaign’s frequent insistence that voter fraud cost it the popular vote, no evidence has supported any of the claim. Post-election analysis found little to no fraud during the election, which saw Hillary Clinton win the popular vote by 2.8 million. Prior to the election, the Trump campaign suggested that Democrats, particularly in inner cities would commit voter fraud, and encouraged supporters to ‘monitor’ those polls, a suggestion some interpreted as implying voter intimidation." 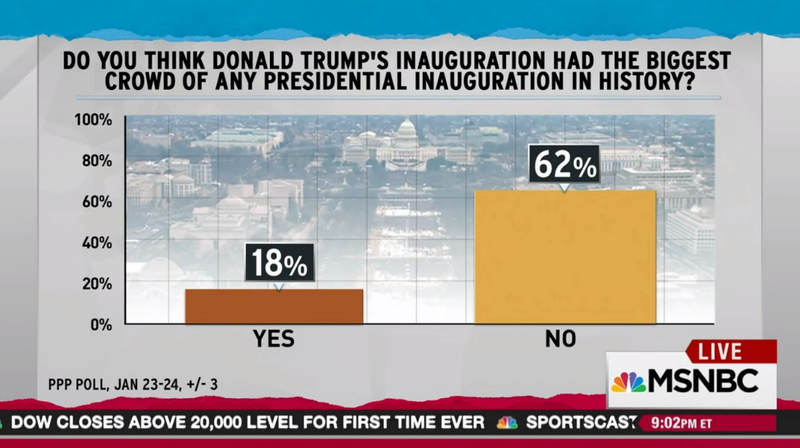 "Donald Trump had biggest inaugural crowd ever? 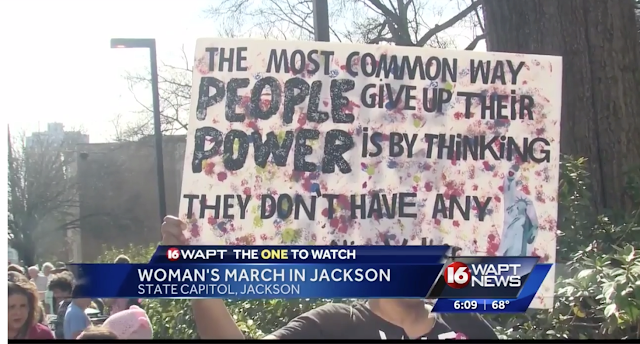 Metrics don't show it"
Hundreds of Mississippi women gathered outside the Capitol Saturday, joining a national movement anchored in Washington, D.C.
“This is a good morning. Any time you have this many women talking about what we are going to do at the Capitol, that makes it a super good morning,” said state Rep. Alyce Clark, a Democrat who represents the 69th District. The women gathered across the country to protest what they called President Donald Trump’s assault on women’s rights." Sen. John McCain (R-Ariz.) echoed those concerns Monday, calling Trump’s withdrawal from the TPP a ‘serious mistake’ that will give China greater authority to dictate the terms of international trade." "President Trump’s cabinet is shaping up to have a smaller percentage of women and nonwhites than the first cabinets of Barack Obama, George W. Bush, Bill Clinton and George Bush. If Mr. Trump’s nominees are confirmed, women and nonwhites will hold five of 22 cabinet or cabinet-level positions. He has not yet named the nominee for one additional position. ‘Donald Trump is rolling back the clock on diversity in the cabinet,’ said Paul Light, a professor at New York University’s Wagner Graduate School of Public Service."